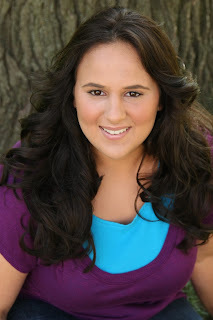 Barbizon Midwest Review: Barbizon Milwaukee Graduate Receives $65,000 Scholarship at IMTA! Barbizon Milwaukee Graduate Receives $65,000 Scholarship at IMTA! Crystal Varelis, graduate of the Barbizon Modeling and Acting Center in Milwaukee, Wisconsin, did well this year at IMTA...really well! Varelis won a scholarship at last year's IMTA modeling competition to study Musical Theatre at Wilkes University in Wilkes-Barre, PA – valued at $65,000. Upon graduating from Barbizon, the 16-year-old Varelis attended the 2010 International Model and Talent Convention (IMTA) in Los Angeles where she participated in a full slate of acting and singing competitions. Crystal’s hard work paid off and she surprised even herself by winning several awards, including the college scholarship. While there are numerous scholarships given at the IMTA Convention, this scholarship was the first ever award of its magnitude which was given to Ms. Varelis.